Press Release – South Ambergris Caye Neighborhood Watch - 21 April 2016 - Former and current members of the Steve Miller Band ¬ Rock n Roll Hall of Fame and Grammy inductees ¬will perform a live concert on June 4, 2016 at Mahogany Bay Village Green. The concert will run from 4 to 7PM. Proceeds will support the South Ambergris Caye Neighborhood Watch in providing security and wellbeing to their neighborhood. Tickets going on sale online May 1, 2016 at www.SACNW.org and other locations to be announced. Special thanks to sponsors, Mahogany Bay, Pelican Reef / Athens Gate Resorts, Lone Star Grill & Cantina and Palapa Bar. Concessions and drinks will be available at the concert. Concert Tickets are $125BZ. Limited Meet & Greet VIP Tickets are $400 ¬with only 50 available. Includes cocktail, personal band introductions between 2:30 and 3:30 pm. General Admission will be limited, so buy tickets early. 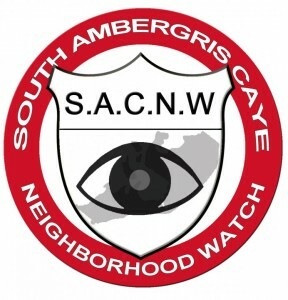 The South Ambergris Caye Neighborhood is number one for safety and security in Belize.